The 60-90 second Posing Routine that each bodybuilding competitor is required to do in a bodybuilding show can for many, be the most nerve wracking part of the competition. A good Posing Routine should display the competitor’s physique to its best advantage, be choreographed tastefully to the chosen song with fluidity and musicality and should contain all of the compulsory poses. The Posing Routine is not always used as part of judging (depending on Federation) but is an opportunity for each athlete to be on stage alone and showing off their muscle mass, separation and conditioning, therefore if the routine is not well designed these assets will not be displayed as best they could. Johanna has been designing posing routines since 2009 for bodybuilders and your routine can be made as simple or as complicated as you like depending on your coordination, musical awareness and background. One on one routines are personally designed and taught to you by Johanna on the North Shore in Auckland. This option suits competitors who live in Auckland or can get there to visit. 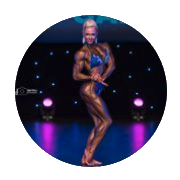 Online Routines are for competitors who live outside the Auckland region and Johanna has online posing routine clients from all around NZ and Australia. Online posing routines will be emailed within 2 weeks of ordering once your music is decided and payment is received. Contact Johanna to arrange yours!